Every human-being belongs to mankind. But mankind does not comprise a single type of human-beings; because they are basically of two types. They may be either male or female, either rich or poor, either indigenous or alien, either industrialists or workers, either politicians or gentlemen, either exploiters or exploited et cetera, et cetera; but all of them belong to only two types: patriots and traitors. Shashi Bhai, who breathed his last on 22 january 2011 was a patriot. 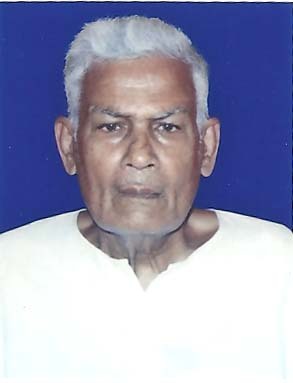 He was the only son of legendary freedom fighter Gourang Charan Das. In my public life there was a time when I was blessed with an opportunity to work with Gourang Babu. And that had given me the fortune of friendship with Shashi Bhusan Das, Shashi Bhai. He was deeply affectionate but immensely magnanimous. Incomparably simple but simply majestic. Arriving instantly at the bright side of a seemingly notorious person was his forte wherefrom with utmost ease he was emitting positive thinking that was transforming a foe into a friend for ever. He was an epitome of humanitarian feelings. Of universal brotherhood. Some one may not have kept contact with Shashi Bhai for years; but it can be certainly said that in the heart of his heart he must have remained very close to him. On his sad demise, he must have cried inconsolably in the secret chamber of his soul. I am not going to elaborate on how nice a man was he. I will only say how incomparable was he in contemporary society. 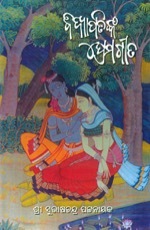 As said supra, he was the only son of the legendary freedom fighter Gourang Charan Das. But he was his comrade in sacrifice for the cause of the Country. In 1938, when a student of Minor School, he joined his father in freedom movement and within two years he made a mark as a dependable fighter. Came 1942. Quit India movement commenced. Whosoever leader the British could cast eyes on was arrested. 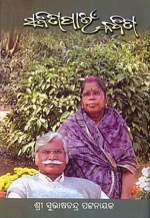 Bagalpur, Gourang babu’s village in the then district of Cuttack, emerged as a center of freedom movement under his leadership. The School where Shashi Bhai was a student was used as a production point of revolutionary leaflets containing messages of freedom struggle. Daring the British intelligence, Shashi Bhai, the youngest amongst the fighters, was carrying the cyclostyled leaflets to freedom fighters of various villages in the region spread from Biridi to Ersama. He was the link between the great revolutionary Gobind Chandra Mohanty and others and a regular reporter of events of revolution at Mallipur center of freedom struggle that the famous Binod Kanungo was running. He had been frequenting in the night the dreaded cremation ground – Sati Chaura of Cuttack, which a boy of his age would never have dared to visit even in the day time, to collect freedom leaflets from Banka Behari Das that Surendranath Dwivedy was issuing from the secret center run in the residence of Mathuri Sahu of Alisha Bazar. He had become a challenge for the British despite his tender age. As he was active in planning for paralyzing the British administration in his area of operation, on 1 February 1943 the British police zeroed in on him and he was punished with 18 months of imprisonment. He had refused to appeal against this order as that would have made him accept the legitimacy of the alien court. When the country achieved independence Shashi Bhai devoted himself to Gandhian programs than hankering, like many others, after power-positions. If Mother India stays for ever proud of any numbers of her children, Shashi Bhai must stay one of them. He shall stay for ever a synonym of the romance of sacrifice for the motherland and generations to come will look at this epitome of patriotism for inspiration. 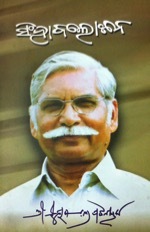 When fellows having no history of sacrifice for the country, have usurped power and have already subjugated India to imperialistic hegemony of foreigners and our republic is rushing into the traps of plutocracy, a man like Shashi Bhai shall appear to every loyal child of the motherland more relevant than when he was alive. I shall, Shashi Bhai, never say, you are no more. Never. To me, and I am sure to all who know you and enjoy the romance of sacrifice, you are immortal. Vigilance Police of Orissa estimates, government has caused a corruption worth at least 500 crores INR in supply of Dal to the School kids under the Midday Meal (MDM) scheme and Supplementary Nutrition Program (SNP). The corruption is so severe that ruling party stalwart Debashis Nayak had to raise the issue before the media following which, as a skin-saving measure, vigilance was engaged to enquire into the alleged corruption. As the corruption was unearthed in test investigations conducted in only four districts, Chief Minister Naveen Patnaik has tried to take the district Collectors to task in the Collectors’ conference on January 21. 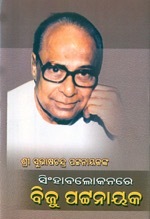 His father Biju Patnaik had formulated the tactics of shifting responsibility to officials when, under his regime of misrule, corruption had engulfed Orissa. He had called upon the people to physically assault the officials for failure in administration, though the anarchy Orissa was reeling under was generated by his whimsical steering of the state. His tactics was ill-famed as Mada Tattwa (Theory of thrashing the officials). To what extent anarchy had hit Orissa is yet remembered for the attack on Biju himself by members of the Secretariat staff and subsequent refusal of mandate to him in the elections. Hence, the CM’s attempt to lay blame on the Collectors in the Dal scam is being seen as an attempt to shift responsibility in the pattern that industrious Biju had invented. However, the fact as seen by the vigilance police shows that worm-eaten, rotten and inedible Harad dal adulterated with poisonous Khesari that unscrupulous factory operators even do not dare to use for producing animal and poultry feed, are supplied to schools and anganwadis for consumption by the human kids. And, it is apprehended that the substandard dal, which may cost at best 25 rupees per Kg is supplied at Rupees 75! More harmful than the massive money swindled in the name of social welfare is the slow-poison given to school kids in the name of MDM and SNP for months and years by the administration run by Naveen Patnaik. It would be shameful if this harmful corrupt government is allowed to breathe and continues in power to manipulate and tamper with evidences in this crime against the school going kids. Media Unity for Freedom of Press (MUFP) will hold a symposium on “How safe is Press in Orissa? 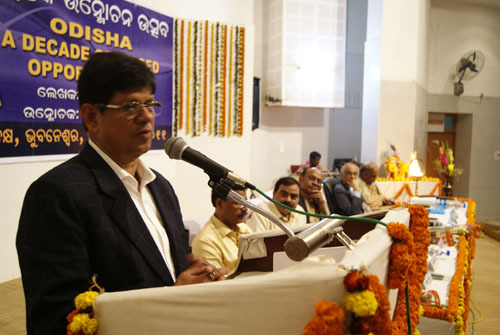 ” on the 12th of February 2011 in Bhubaneswar. The Presidium of the MUFP which met on the 21st of January decided to host this event to highlight the growing number of attacks on media persons by vested interest groups as well as the sate authorities and the police and the indifferent attitude of the state government to such developments and also to suggest permanent remedial measures. address the mediapersons in regard to the way forward. 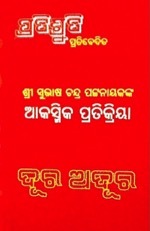 Sambad editor Soumya Ranjan Patnaik had focused on a serious phenomenon during inauguration of a book published by Ama Odisha, the organization he has founded and heads; but the paper missed the point. 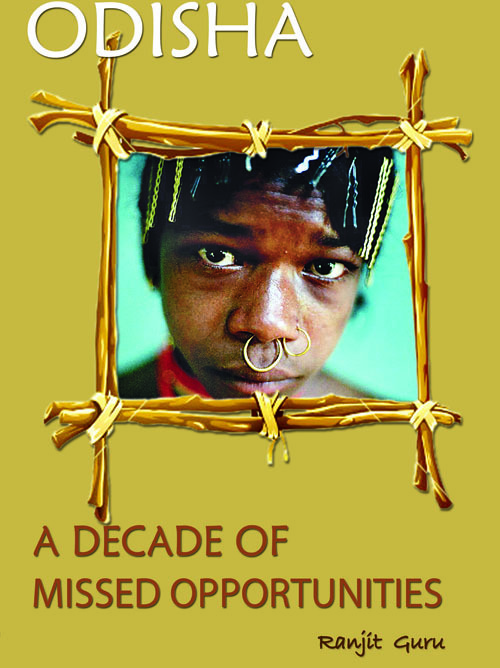 The book, Odisha: A Decade of Missed Opportunities, a compilation of selected articles of Ranjit Guru, senior journalist of Sambad, published under his column Aprasanga and translated into English, is published by Ama Odisha. It was formally inaugurated in the evening of January 15 at IDCOL auditorium, Bhubaneswar with Patnaik in the chair. Patnaik’s speech was thought provoking. He raised a very pertinent issue. Praising Sri Guru profusely for his upright analysis of how Orissa has missed a decade of opportunities due to misrule, Patnaik linked the administrative anarchy to absence of sense of insecurity amongst political power-holders. Dwelling on Orissa’s post-independence decadence, he said that her acquired backwardness during the first three decades was being attributed to political instability as none of the political parties/allies were being given comfortable majority by the people. But since start of the forth decade of independence, governments have been formed with massive mandate. Treasury benches have been enjoying absolute majority in the legislature, term after term. But Orissa has not developed. Instead, it has been going down. He raised the question and pointed out that the massive mandate gives massive power and massive power corrupts massively as the absence of sense of insecurity in the floor emboldens the Government to ignore the Opposition. Total absence of sense of political insecurity generated by massive mandate stimulates irresponsibility and resultantly the rulers indulge in rash-driving the State and it leads to crash in every area of administration. He asked the public to cogitate upon this phenomenon intently and urgently. Sambad, while reporting the event, has inadvertently missed this pertinent issue that its editor had raised. 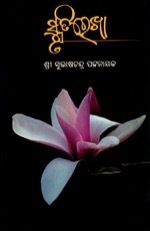 However, former Chief Secretary Tarun Kanti Mishra, who presently heads the State Information Commission, formally inaugurating the book, exhibited rare magnanimity in begging apology to the people of Orissa for the continuous misrule in which, as a top executive he was associated, for the wrong done to the State. He divulged that Orissa’s per capita income was 93 per cent compared with totality of India in 1951 whereas it has been constantly in the down-falling trend as in the last official records its per capita income is recognized as only 62 percent on the national matrix. Mishra’s speech completely corroborated the claim of the book that the last decade was a decade of missed opportunities for Orissa. 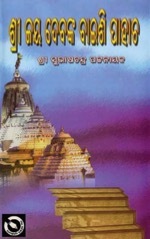 Columnist Dr. Bhagavan Prakash made a brief analysis of the book when to Dr. Rajendra Prasad Das, it was a faithful depiction of Orissa’s decadence in the decade under review. 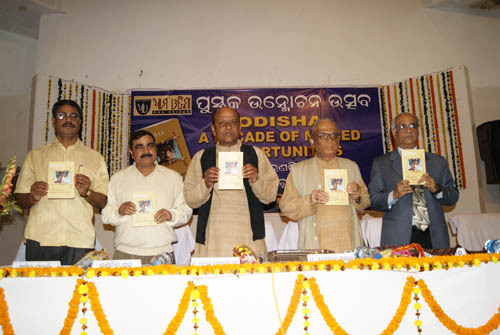 Eminent man of letters Asit Mohanty, coordinator of Ama Odisha had introduced the purpose behind bringing out an English translation of published columns in Oriya and the author had elaborated on significance of the caption given to the compilation. The event was well attended to. A pack of miscreants, known as ruling party’s muscles, brutally attacked media persons on January 13 inside the campus of Ravenshaw University, Cuttack, when they were collecting information on illegal and unlawful activities of some youths inside the campus. The Media Unity for Freedom of Press (MUFP) strongly condemns this brutal attack on media in a statement issued on January 15. It has been alleged that while media persons representing various print , electronic and web medias were in the campus to cover the unruly actions of some youths/students, who were assaulting some foreign students physically, they were attacked by the unruly youths claiming themselves as students of the University. Media persons in Orissa have been always cordial and friendly towards the students and their problems and use to highlight it as and when necessary and on no occasion they were so brutally dealt with by the student community. The MUFP therefore demands immediate arrest of the assaulters and to take stringent action against all persons including the University authority and the police who were responsible for such unruly situation inside the campus. 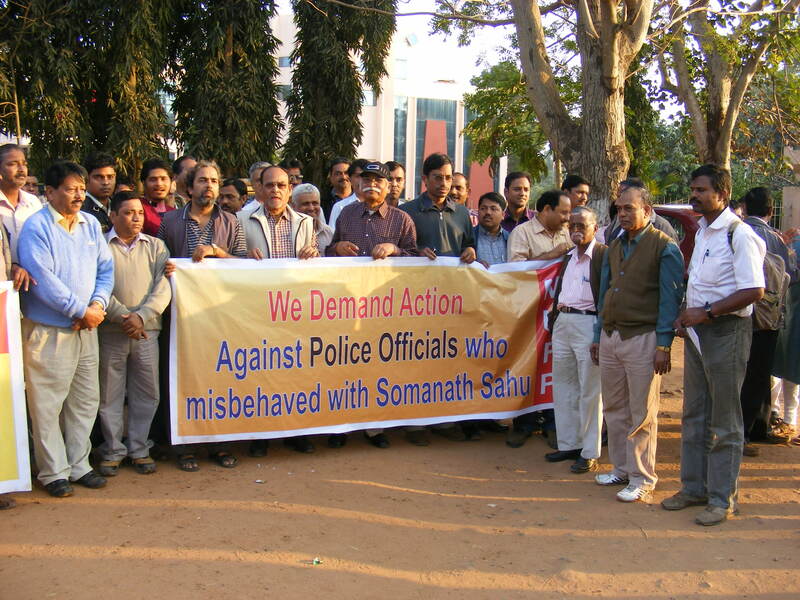 The MUFP whole heatedly support the stand taken by the media persons of Cuttack condemning the indifferent attitude of the Police Commissionarate towards the media persons by not taking any action against the assaulters and their decision to boycot the police and Government functions till the arrest of the accused persons responsible for attack on media persons. The only duty of the Election Commission (EC) of India is to conduct the elections to the Parliament and Assemblies. To discharge this duty perfectly, the EC has been vested with the powers of “superintendence, direction and control of elections” under Article 324 of the constitution of India. But it is enjoying these powers while neglecting its duty. This is why election cases are so remnant. Athgarh in the district of Cuttack (Orissa Assembly Constituency No.89) offers enough materials to study this syndrome. There are several postings in these pages on how it is a victim of the EC’s negligence to duty. But the EC has not yet thought it prudent to react to the points raised therein, though democracy requires its reaction. 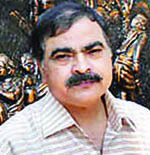 A mere Returning Officer (RO) at the base level, who by virtue of being the sub-collector of Athgarh sub-division was made the RO, obliged the political rivals of the sitting MLA of that constituency by intentionally rejecting his nomination papers on false and fabricated grounds on the day of screening and then issued to EC a list of valid candidates excluding the name of that candidate. On the table of screening, the RO declared that the nomination papers submitted by the sitting MLA Ranendra Pratap Swain did not have the support of a valid party ticket as the same was a xerox copy, not signed in ink. This was contrary to actuals, as the same RO had received the original party ticket signed in ink personally on the day of submission of the nomination papers and had kept the same under his custody beyond reach of any other person. The RO had issued receipt thereof and declared an unambiguous check list. Despite this, he had the audacity to say that the party ticked submitted by the candidate was not the original, but a xeroxed one. Who but the RO could have made a xerox copy of the party ticket when that was in his custody? 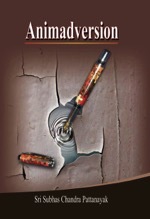 Clearly, the RO sabotaged democracy at Athgarh. Swain had moved the EC to intervene immediately so that the wrong perpetrated by the RO could be removed and he could contest the election. But, the EC refused to step in. Orissa High Court, as mentioned in the older posting, has nullified the election and declared that “a casual vacancy is created relating to 89-Athgarh Assembly constituency thereby”. People of Athgarh, in a memorandum to the Chief Election Commissioner during his visit to Bhubaneswar to inaugurate the EC’s eastern zonal symposium on “sharing best electoral practice”, have brought this matter to his notice and demanded that to save democracy from further misuse of ROs in future, “There should be at least one layer of appeal in the EC mechanism to give justice to a victimized candidate so that killing of democracy as has happened in Athgarh constituency by the RO shall not happen elsewhere any more”. The memorandum signed by Satyaprakash Rath and others was handed over to CEC on January 11. In another memorandum signed by Sidhartha kumar Das and others, the CEC has been moved to unseat the elected MLA of Athgarh, Ramesh Raut on evident allegation of false affidavit during filing of nomination papers.